Another month has come and gone. Can you believe we are already into February? I’ve hardly finished washing the clothes from the holiday period and here I am, sending my baby to Pre-School. As they say, the days are long but the years are fast. This month, after viewing the tempting delights of our Member New Releases, I’d like to focus on the opportunity to embrace new subjects within our genre. In 2018, there was a surge of predictions of what would be the hot-topic in our world for the following year. The leader amongst them was to see an increase in Superhero Romances. It makes sense, worlds created by Marvel and DC have saturated the movie market, but the people who require a little more romance with their explosions were missing out. To fill the gap, we see a Romance books gladly take up the responsibility. So here we are, in February 2019 with one of the first Superhero Romances I’ve seen, and its beautiful. This is a gorgeous cover full of traditional romantic elements we cherish and love, but delivered with an innovative and creative appearance. For February 2019, we add Lana Pecherczyk with Sinner, the prequal her new A Deadly Seven series, published by Prism Press, to the Cover Crush family. 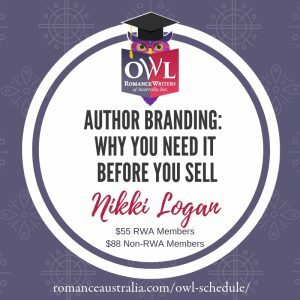 This cover has Lana’s signature style, and as I’ve discussed previously in this blog about the importance of branding for an author, she has delivered us another excellent example. It has the textured feel of a hand drawn image, but with the sophistication of skilled graphic design elements and trademarks which Lana is known for. It plays to the genre, with its nod towards exposed skin and masculine torso, but also hints at the elements that you’ll find within the pages, the detailing giving layers of intrigue, captivating the reader. The ultimate suspense driven visual narrative for any Superhero classic. As I look at this cover, there is no doubt in my mind that it heralds the characteristics of a paranormal romance, but with an exciting twist – superheroes. A new sub-genre I am very excited to sink my teeth into. Well done Lana and Prism Press and welcome to the Cover Crush family. 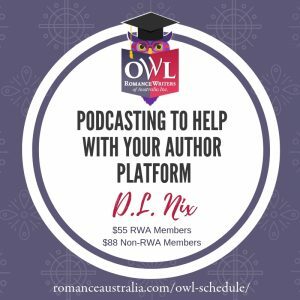 If RWA members would like to get their covers into Heart’s Talk, just log into your account on the RWA website and upload your image before the 8th of each month. If you’re interested in reading my previous cover crush nominations, you can find them on the Romance Writers Australia website. From the age of sixteen, Annabelle lived in a youth refuge while she remained committed to her education. She spent two years within a section of humanity that society overlooks. Her experiences are the foundations that drive her stories and her characters. They fight for their freedoms, have courage in the face of adversity and will ultimately, always aspire for greatness. Annabelle is privileged to spend her time writing with a backdrop of Canberra’s iconic landmarks and admiring its distinct and captivating change of seasons. Outside of her love for reading, she spends every free moment with her husband, son and her poodle named Serendipity. She drinks her whisky neat and is known to scour the local markets in an attempt to find the best blue cheese available. Follow Annabelle on Instagram, Facebook, and Twitter. Sign up to her newsletter at her website and be a part of the journey.